Chanting of Mantras, the hymns along with the fragrance of incense in fills the air with mysticism which entrails every person. Why only the luminaries, Varanasi has excelled in the art of silk weaving. The Banarasi silk sarees and brocades are cherished as collector's items across the world. The ghats dotted with temples, the maze of alleys along the ghats, what ever Varanasi has is enough to attract the visitor again and again. The city which did not die even after being plundered many times is in a true sense a fascinating area to wander around. The Kashi Vishwanath Temple / Gyanvapi Mosque: This temple is dedicated to Lord Shiva. It is popularly known as the golden Temple due the Gold plating done on its 15.5 metre high spire. One tonne of gold donated by Maharaja Ranjit Singh has been used in the gold plating of the spire. 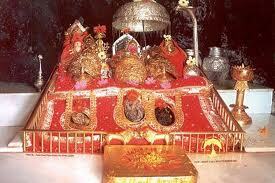 The temple was destroyed in the various invasions and was rebuilt in 1776 by Rani Ahilyabai of Indore. St. Mary's Church: Situated in the cantonment area of Banaras (Varanasi) the St. Mary's Church has a low tower and spire. Instead of windows tile, church has louvred doors to the sides and hooded ventilation slots beneath the cornice. Bharat Mata Temple: This temple is dedicated to Mother India. Just one kilometer from the Varanasi station. The temple is built in the Mahatma Gandhi Kashi Vidyapeeth which was built by Babu Shiv Prasad Gupta. This temple was inaugurated by Mahatma Gandhi in 1936 so that the citizens could respect Mother India in statue form. The statute is built of marble. The statue is a replica of undivided India in three dimension which has the mountains, plains and oceans in right proportion. Tulsi Manas Temple: This temple is dedicated to Lord Rama. The temple is built in the place where Goswami Tulsidas composed the epic 'Ramacharitramanas' which provides us with detailed description of the history and deeds of Lord Rama. Tulsi Manas Temple was constructed by a philanthropist family in 1964. Nepali Temple: The King of Nepal had built this temple on Lalita ghat in Nepali style. The Nepali temple is also called the 'Kathwala temple'. The temple has some magnificent woodwork. Tourist from all over the world come just to see this temple which has no comparison with any other temple in India. The workers who carved this temple out were brought from Nepal. The wood used in the temple is also found in Nepal. The speciality of this wood is that termites do not eat this wood. Ram Nagar Durg: 2 kms from the Kashi Hindu university, across the Ganges is located at the ancestral house in the fort which was built by the former rulers of Kashi. In one of the sections of the fort is the museum which displays the royalty which was once part of the kingdom. This museum gives an insight into the grandeur which once prevailed in the fort. On the Ramnagar Pandav road is a beautiful Durga temple. This temple has very delicate and intricate carving done on stone. These carvings are worth giving look. Bharat Kala Museum: The Kashi Hindu university has a museum which has a very rich collection of precious and rare historical artifacts, statues, pictures, paintings and manuscripts. This small but very well maintained museum gives an overview of the ancient city of Varanasi. Entry in the museum is free but check out the timings. Nandeshwar Kothi: Nandeshwar Kothi, designed by James Prinsep is a typical building of the early 19th century in Banaras. Banaras Hindu University: This is the largest and oldest university in north India. 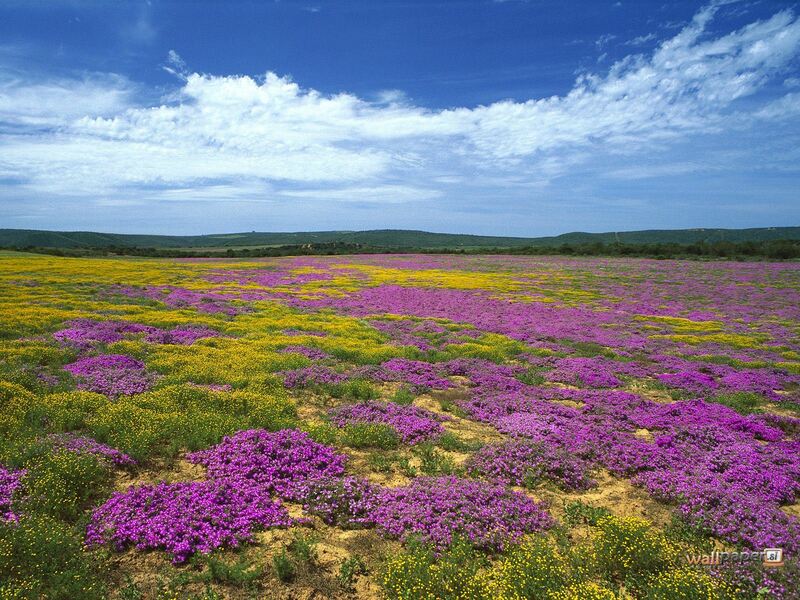 Spread over an area of 2,000 acres, this great place of education was established by Pt. Madan Mohan Malaviya. Today the campus has faculties of Arts, Science, Music, Sanskrit, Languages, Engineering, Statistics and Medical to name a few of them. The university also has the huge Vishwanath temple which was built and maintained by the Birla family. The Sunderlal Medical centre has all the modern facilities of medical field is also located in the university campus. Hanuman Jayanti: This festival is celebrated to mark the birth of the monkey God Hanuman . The five day long festivities are held at the Sankat Mochan temple. During this festival many plays are staged based on the Saraswati, Ram , Krishnalila and Hanuman Charitra. Mahashivratri: Though Mahashivratri is celebrated throughout India, Varanasi has some special charm in the celebration of the festival. During the festival a procession is taken out from the Maha-Mritunjaya temple to Kashi Viswanath Temple. The Dhrupad Mela: In the month of March a five day long music festival is organized on the Tulsi Ghats. during the five days renowned artists from all over the country perform Dhrupad here. 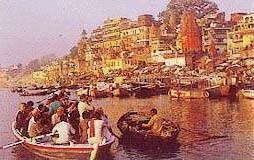 This festival is one of the major tourist attraction of Varanasi.